Get digital with Diesel On's animated watch. 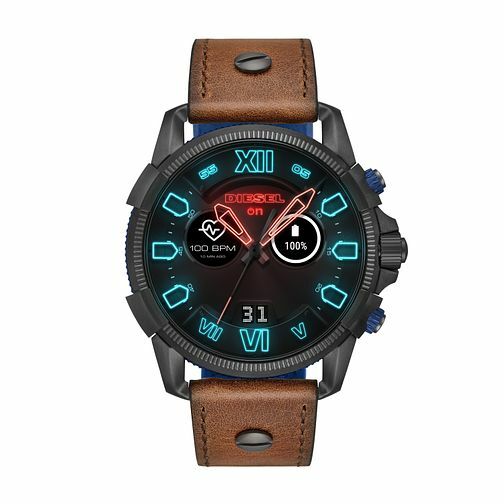 With a stainless steel round case, the sleek black dial is brought to life with colourful neon style animation depicting the dials, hour markings and calculating your heart-rate and battery level. Positioned on a brown leather strap, this timepiece is proof that the future is now!